With Payment Card Industry Security Standards, taking payments can be problematic for e-commerce businesses. Fortunately, these compliance responsibilities can be outsourced to a payment gateway provider. 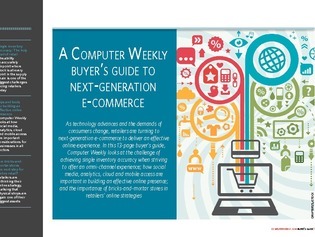 In this buyer's guide, Computer Weekly has explored ways to deliver a dynamic, secure, and even compliant omni-channel experience. Discover how tokenization is shaking things up in transaction data, and what you can do to access and protect customer information in the face of Payment Card Industry Security Standards.